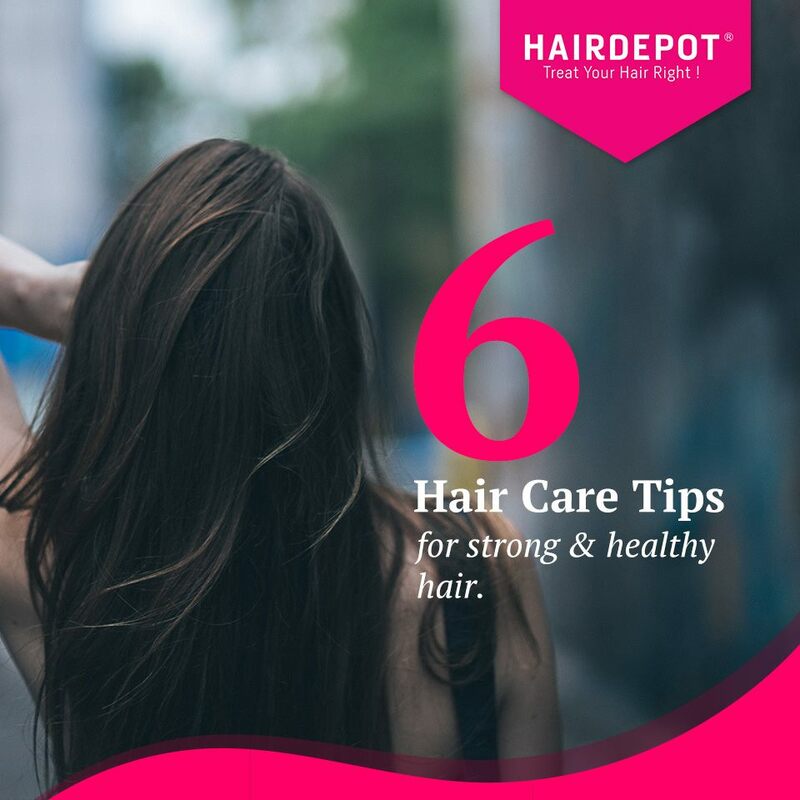 6 Hair Care Tips for Strong & Healthy Hair – HAIRDEPOT - Hair & Scalp Care Products, Prevent Hair Loss, Shampoo, Conditioner, Treatment, Styling, Appliances and more! Proper hair care routine and good hair maintenance are necessary for strong, healthy and lively hair. Along with exercise, a well-balanced diet, and supplements, hair care is a life long process that requires your constant attention. A general rule to hair washing is 2-3 times a week. Overwashing can strip your hair of natural oils and proteins that it requires. If you have to wash on a daily basis, remember to condition your hair regularly to help it retain moisture and nutrients. Everyone has different hair types. Make sure you choose the right kind of shampoo that fits your hair type for strong and shiny hair. Rinsing with warm water helps open up the hair cuticles so the shampoo can penetrate deeper and remove dirt and oils from the hair. Rinse with cold water to help seal up the pores to keep the scalp keep. Most people don’t realize that they’ve been using conditioner the wrong way. The proper way to use conditioner is to apply it to the ends of your hair, not the scalp. No matter how unruly your hair is, never forcefully comb it. Your hair is very prone to breakage and that can cause split ends. Use a proper hairbrush to gently comb that unruly hair. Drying your hair with the hair dryer frequently can damage it and cause split ends. Try to let your hair dry naturally if possible. Get all your hair care needs at a HAIRDEPOT outlet near you.